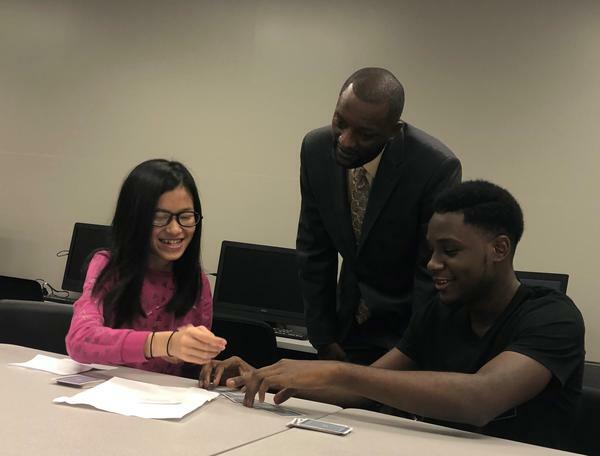 Kansas City Public Schools Superintendent visits with students at Manual Career and Technical Center on the first day of school. 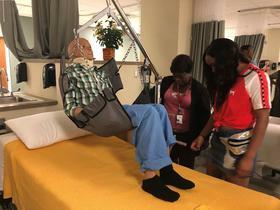 When Bedell walked into the the health science classroom down the hall, the teacher was explaining how to use a medical lift, an assistive device used in nursing care. Now in his third year with the district, Bedell said Monday that KCPS has come a long way during his tenure. He expects the district to continue to make progress based on the state’s accountability metrics. This year there are assistant principals in buildings that didn’t have them last year, registrars in every secondary school and more reading interventionists and math specialists to support students who need extra help. “You’re going to have a fully accredited school district here in the very, very near future,” Bedell said proudly. School starts this week in most Kansas City area districts.